While she was growing up in the Midwest, Fawzia Mirza and her family devoured Bollywood movies and shows that came out of the Subcontinent. Many of the films the Mirzas watched in the '90s starred Shabana Azmi, the Indian film and theater star who was known for her progressive and powerful roles, Mirza said. “Here was this woman who was portraying these strong female characters and who had been portraying these characters for a long time,” she said. 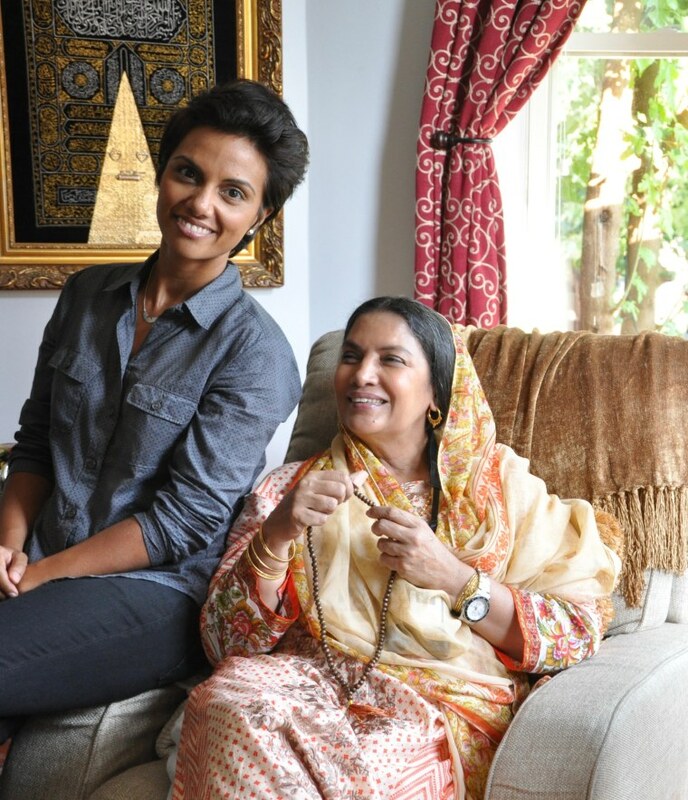 Those films had such an impact on Mirza that she knew immediately she wanted to cast Azmi as her mother in her upcoming movie "Signature Move." The story follows Zaynab, who like Mirza is a Pakistani-American lesbian living in Chicago, as she navigates a burgeoning new relationship and a newfound fascination with wrestling, while also caring for her television-obsessed mother Parveen. “India’s audiences are not a monolith and I knew people would react in different ways — some with shock, some with surprise, some completely denying it, and others feeling grateful." While "Signature Move" is about a young South Asian American woman who falls for a Mexican-American woman, both Mirza and Azmi stress that they are making more than what the Indian tabloids are calling a "lesbian drama." The film, which is currently being shot in Chicago, also tells the often-complicated story of a mother and a daughter. “In this case, Zaynab the daughter is the caregiver and she gets into this kind of groove where she gives and the mother takes,” Azmi said. “Then when the daughter least expects it there is a turn that happens. A big part of the reason Mirza wanted to cast Azmi in her film was because of the impact the 1997 Deepa Mehta film "Fire" had on her. Azmi was one of the stars of the film, which told the story of two isolated, married women who fell in love and became instantly controversial upon its release. Like "Fire," Mirza says her film is more about relationships and family than a traditional coming out story. While it’s clear that the gay rights movement has made considerable progress in the 19 years since the release of "Fire," Mirza said she hopes her own work will continue to open minds. “If you look at my Twitter feed, you’ll see there are so many people who tell me that you can’t be a Muslim and a lesbian at the same time,” she said. “There is so much ignorance out there. Since I started creating my own work, I’ve been working to break down stereotypes of race and religion and using comedy as a tool to do it."